guardianwolf216: Mũi tên xanh family scene. 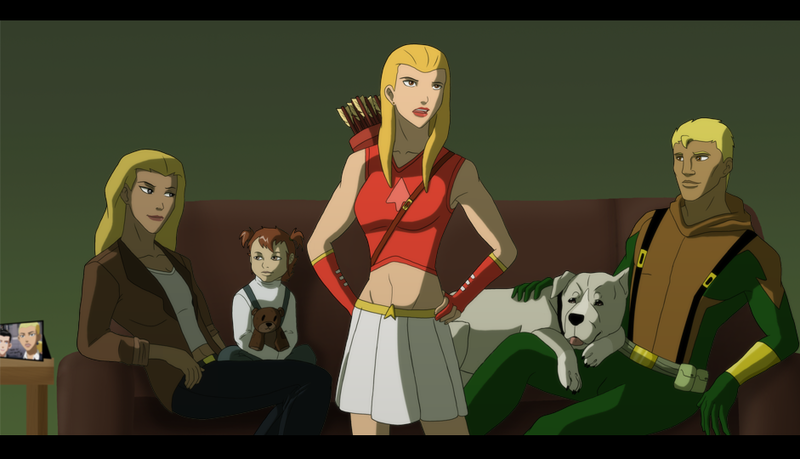 guardianwolf216: scene of the young member's of the Mũi tên xanh family. 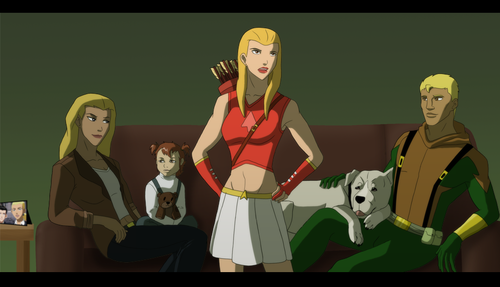 HD Wallpaper and background images in the Liên minh công lý trẻ club tagged: young justice connor hawke artemis arrowette. @YJgirlforever: That's Connor Hawke, he's Green Arrow's biological son, his mother is Sandra Hawke, she was Ollie's first love interest in collage before he became Green Arrow and meet Dinah. Haha bet they laughed bout the pic. GA isn't with Dinah??? Before he meets Dinah and why wasn't Roy in this? Is that Lian in the back?